This month, I finalized the transfer procedures to switch my cell phone numbers from one mobile operator to another one. I’ve been with AMC for more years than I care to admit, but the fact is that this past year their level of service and general responsiveness to my needs as a customer was such that it caused me plenty of frustration, resulting in my decision to switch, despite being presented with new and improved offer. The introduction of two new mobile operators (four in total) in these past four years has brought about an increase in the competition amongst mobile operators and the introduction of “better” rates for us as subscribers. But the fact remains that AMC and Vodafone continue to dominate the market. Their “on-net” rates and offers ensure that subscribers are very reluctant to move away as it is impossible to have their friends follow. If they do, then the “off-net” rates applied by these operators can be considered a form of financial “punishment” as you have to pay higher rates which are not conducive to changing. But most importantly of all, the ongoing economic situation facing the country, business and common Albanians has caused for these main operators to lose some of their strength. This has been relatively beneficial for the other two operators, though the situation still needs a lot of work to change their dominant position and behavior in the market. Monitor magazine also published an article recently, which I encourage you to read to get a better idea of the main operator’s behavior. At this point I do not want to disclose the name of the operator that I have chosen, but it’s neither of the aforementioned two. AMC and Vodafone are trying hard to cling to their existing customers as they both stand to lose most when customers are not satisfied with their service. But in my case the service I got from AMC was just a nuisance and one that had me waste much more time and energy than they are worth, thus I chose with my feet. 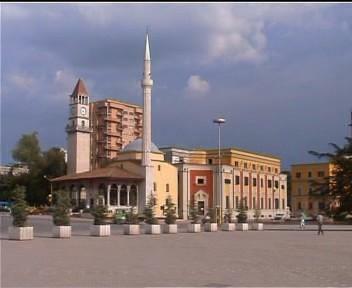 Previous articleWhy I choose to protest as a citizen of Tirana!